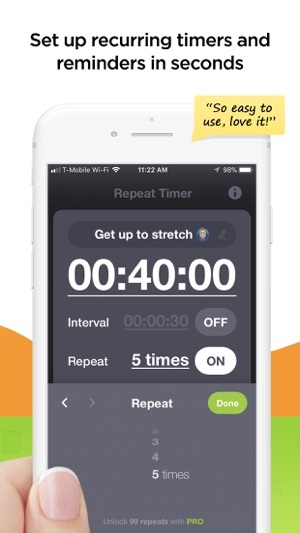 The #1 best-selling repeating timer app since 2013, Repeat Timer is a simple recurring reminder for all of your repeating tasks and routines – taking your medications, getting up from your desk to stretch, cooking, yoga and meditation, TV time for kids, workouts and more! Run your timer while using other apps or with the phone in sleep mode. 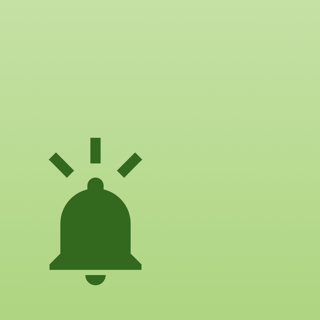 You’ll get hands-free visual and audio notifications that you don’t need to stop or dismiss. 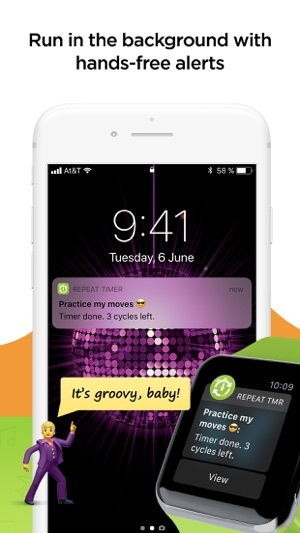 Try Lite free and easily upgrade to Pro via in-app purchase. 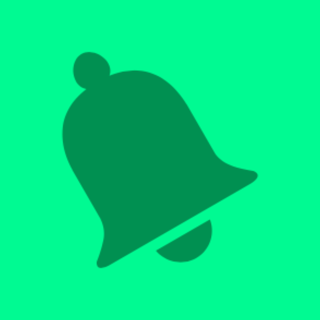 A few minor updates to make the app run flawlessly for you – mainly the ability to disable alerts and compatibility with the new iPhones :) Enjoy! This product is a one trick pony, but that’s all it’s supposed to be. The interface is clean and simple, but I warn you, in order to get the most out of this application please read the online help. That’s where you can understand the use of this with your needs. 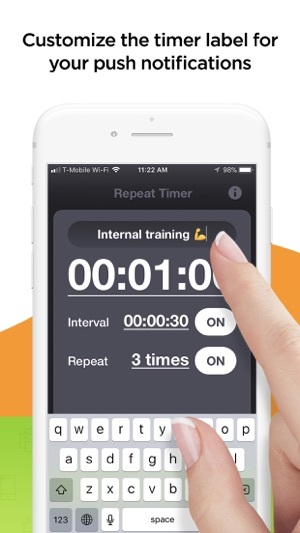 I would recommend you download for anybody needing interval timing on their phone! Keep up the great work! 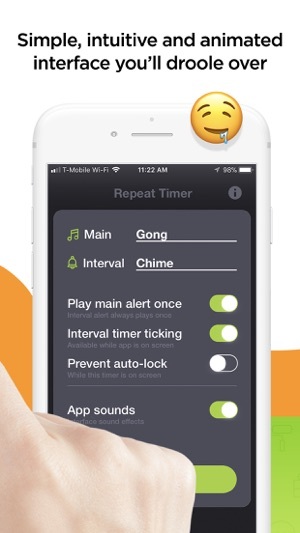 This app does everything I need in a repeat timer. 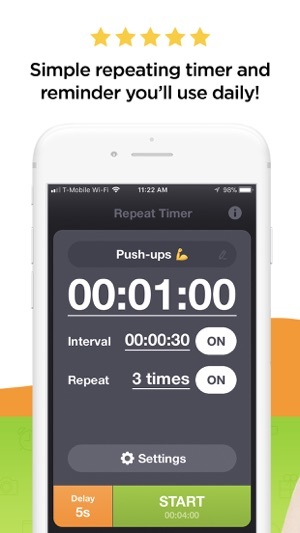 So easy to set timer length and interval. Better still it works in the background, and the notification sound can be set to repeat continuously. Very handy if I step away for a minute. Great free app! I teach two Boot camps every week and I need to be able move from one exercise to another exercise every 30 seconds. This stopwatch allows me to do this. I take my glasses off during our boot camp and I can see the numbers counting down.